Assessments made quicker and easier. Government approved software (England, Wales and Scotland). 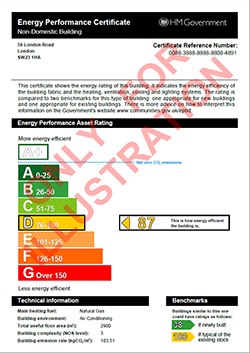 Building Regulations and EPCs for new and existing non-domestic buildings. BuildDesk Carbon Checker makes it easy to generate commercial EPCs and energy efficiency compliance reports for Building Regulations. Users have found they can be 70% more productive with Carbon Checker than with iSBEM. A combination of features such as point-and-drag geometry entry and automatic calculation of zones and adjacencies ensure ease of use. Online demonstrations give further tips. The 3D image and clear graphics give you confidence that the building has been modelled correctly. 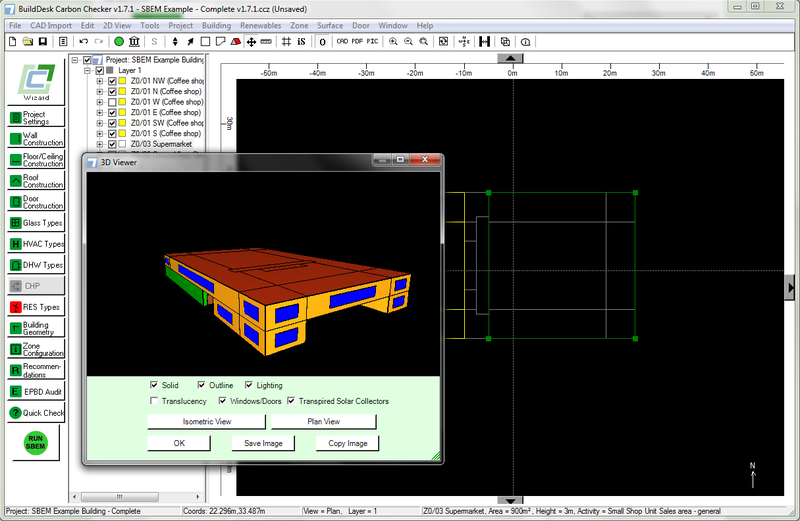 A range of features are available to make the task simple. For more on Carbon Checker’s features, click here. Download BuildDesk Carbon Checker – click here now! Existing Commercial Energy Assessors using iSBEM can convert to Carbon Checker by simply attending our one day software conversion training. Click here to learn more. Our Carbon Checker software is approved for the generation of Energy Performance Certificates (EPCs) for non-dwellings in England and Wales, Scotland and Northern Ireland. It also produces the accompanying recommendations report. Click above image for an example of the full document (opens a pdf file). We survey our users anonymously to get their true feelings. – None of our users disagree with this! Those wishing to generate EPC’s must be suitably qualified and members of an Energy Assessor Accreditation Scheme for non dwellings. For Building Regulation submissions, draft EPCs and design purposes BuildDesk Carbon Checker is priced at £250+VAT for an annual licence. The price includes 1 year support and 1 year software maintenance fee. Introductory software training is available. BuildDesk Ltd accepts credit card payment via telephone 01275 390 533 or by mail order. In addition to annual software licence fees, BuildDesk Limited will charge a fee for each successful EPC lodgement with the Governments Landmark database in England and Wales. These fees are raised and collected directly by BuildDesk Limited and are in addition to any fees levied by the Accreditation scheme. Accreditation schemes accepting lodgements withCarbon Checker will be required to confirm the number of successful lodgements and assessor details in a timely manner each month to allow invoicing. All fees exclude VAT. BuildDesk Carbon Checker follows the calculation methods and procedures specified in National Calculation Methodology (NCM) documents and incorporates the Government’s SBEM calculation engine. Some important information about SBEM can be found here. Our Government-approved software is an alternative to iSBEM and provides a host of user-friendly features to make designing a compliant commercial building an easier task. The software is not designed for use in a desktop virtualisation environment e.g. Citrix.